Low Fragmentation, even with long uptimes. Lots of speedups (for example, memory pools are 10 to 20 times faster than before). Now uses the MMU to write-protect the .rodata sections of ELF binaries. JIT emulator is between 10 to 50% faster. 64-bit support for file sizes. New directory scanning and object examination API. Support for legacy programs requiring a planar screen: normal, HAM6 and HAM8 planar screens are promoted to RTG. Customizable truecolor mouse pointer (in hardware sprite mode on Radeon boards, and in software sprite mode on all boards). 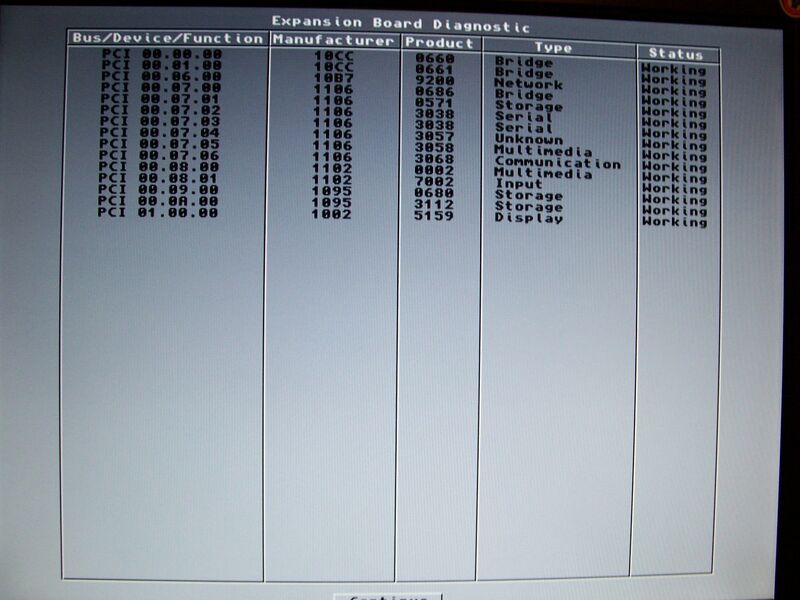 Navigation of oversized screens via [Left Amiga] + numeric pad. Support for native 32-bit icons with normal and selected image. Support for loader/saver modules for third-party icon formats. Customizable highlight effect for selected single-image icons. Customizable "left out", "no drop" and "disabled" icon symbols. Removed the remaining 30 character filename length limits. New driver for ITE IT8212 IDE controller. New driver for SCSI 53C8xx-based controllers. Support for IDE ct-flasher hardware added as contribution. Support for alpha channel in IFF ILBM for easy loading, saving, and clipboard copy/paste of truecolor data. No more black background in MultiView when displaying truecolor pictures with an alpha channel. MultiView allows the Workbench screen to be closed and reopened. Customizable images for requester.class requesters. Many parts of OS4 now support the mouse wheel. The classic RAD: doesn't survive a soft reboot anymore. The new RESRAD: survives a soft reboot again. The new BOOTRAD: offers booting from a disk image which survives a soft reboot. Changing the system default keymap now immediately affects all console windows which dont use a private keymap. All printer drivers except Printers:File are PPC native. The PostScript printer driver now supports printing pictures in greyscale, B&W and landscape modes. It now uses the current system default charset for text printing to ISO-8859-1 before. Now PPC native, some new features. New driver for the AmigaOne which has a floppy disk port. Supports booting from floppy disk. Allows limited exchange with Classic Amigas. Now supports algorithmic font emboldening. The default fonts are now the DejaVu fonts which support more different character sets than the Bitstream Vera fonts. USB mice and keyboards can now be used to access and navigate EarlyStartup. Keyboard drivers respect user's keyboard key repeat delay and speed. Keyboard drivers can now reset into UBoot. Early boot menu can be used with only a keyboard. Adjusts its GUI to the screen height which looks better on A1. Extended P96 PIP API (double/triple-buffering possibility allowing perfectly smooth animation). Improved printing preferences (page selection, double-sided printing, collation). Additional character set support for bookmarks and text copying. Updated to the latest version (8.54).